Welcome to AccessoriScooter - Online shop of scooter accessories, scooter parts, motorcycles accessories and special parts. In our e-commerce you can choose and buy safely, among thousands of products of the best brands, at discounted prices, you can also choose the form of payment you want and quickly receive the goods wherever you want. If you are looking for an accessory or a specific spare use the internal search, from the menu categories, or type a word in the search box. The crash bar kit for Honda X-ADV 750 2017-2018 they represent the best protection in case of a fall for the Naked and Touring motorcycles. They are produced in high quality steel tube with diameters from 22mm and 25mm. The assembly kit is included in the package. LighTech produces levers kit "J" adjustable and folding for Yamaha T-Max 530 2012-2017 very light and accurate, levers are intended purely to a racing purposes, and also the extremely simple design reflects the use of this product 100% racing, their hi-tech line is also appreciated for its sheer design. The Lightech Devil series handlebar balancers for Yamaha T-Max 530 2012-2017 are in Ergal and are perfectly interchangeable with the originals, and they also give a hint of personality in your Bike!! The Lightech SPEAL014 mirrors for Aprilia Dorsoduro 1200 2011- Handlebar mounting not approved M10 thread are made of aluminum machined from solid, an attractive design to make your bike unique. BRAKING YA46FLD discs are made of stainless high steel that has a high friction coefficient, the wave discs are available for most of the bikes sold from the 90's in the street, off-road and scooter category. The Bitubo MF spring + oil Kit for Yamaha T-Max 530 / ABS 2012-2014 It has been developed to achieve, at a competitive price, a significant improvement of the dynamics of the front forks. The package includes the necessary FUCHS-Silkolene Oil, specifically dedicated to the characteristics of the medium. Aliant YLP ultralight lithium battery for Yamaha T-MAX 530 ABS 2015-2016 this family of batteries is indicated for the replacement of all types of lead batteries currently in use without making any changes to the electrical system on board the vehicle. 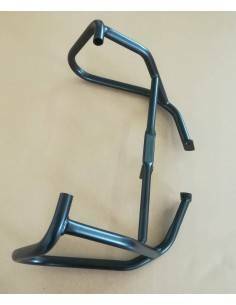 The lower crash bar kit for BMW F 650 Enduro 1997-1999 they represent the best protection in case of a fall for the Naked and Touring motorcycles. They are produced in high quality steel tube with diameters from 22mm and 25mm. The assembly kit is included in the package. The lower crash bar kit for BMW F 650 Strada 1997-1999 they represent the best protection in case of a fall for the Naked and Touring motorcycles. They are produced in high quality steel tube with diameters from 22mm and 25mm. The assembly kit is included in the package. 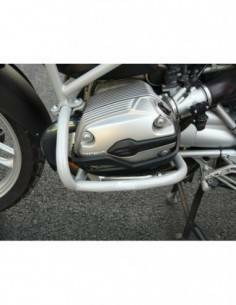 The lower crash bar kit for BMW R 850 R 2002-2007 they represent the best protection in case of a fall for the Naked and Touring motorcycles. They are produced in high quality steel tube with diameters from 22mm and 25mm. The assembly kit is included in the package. 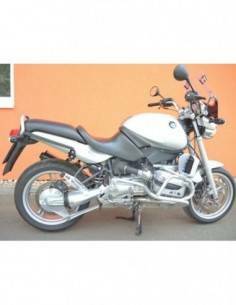 The lower crash bar kit for BMW R 1200 GS 2004-2005 they represent the best protection in case of a fall for the Naked and Touring motorcycles. They are produced in high quality steel tube with diameters from 22mm and 25mm. The assembly kit is included in the package. The lower crash bar kit for BMW R 1200 GS 2006-2006 they represent the best protection in case of a fall for the Naked and Touring motorcycles. They are produced in high quality steel tube with diameters from 22mm and 25mm. The assembly kit is included in the package. The lower crash bar kit for BMW R 1200 GS 2007-2007 they represent the best protection in case of a fall for the Naked and Touring motorcycles. They are produced in high quality steel tube with diameters from 22mm and 25mm. The assembly kit is included in the package. The lower crash bar kit for BMW R 1200 GS 2008-2009 they represent the best protection in case of a fall for the Naked and Touring motorcycles. They are produced in high quality steel tube with diameters from 22mm and 25mm. The assembly kit is included in the package. The lower crash bar kit for BMW R 1200 GS 2010-2012 they represent the best protection in case of a fall for the Naked and Touring motorcycles. They are produced in high quality steel tube with diameters from 22mm and 25mm. The assembly kit is included in the package. The lower crash bar kit for BMW R 1200 GS Adventure 2008-2009 they represent the best protection in case of a fall for the Naked and Touring motorcycles. They are produced in high quality steel tube with diameters from 22mm and 25mm. The assembly kit is included in the package. The lower crash bar kit for BMW R 1200 GS Adventure 2010-2013 they represent the best protection in case of a fall for the Naked and Touring motorcycles. They are produced in high quality steel tube with diameters from 22mm and 25mm. The assembly kit is included in the package.